This week we shine a light on our favourite florist in town, Florence from Petalon! As well as delivering THE most beautiful bunches on pedal power, Florence has also recently published a book, set up a shoot location AND had a beautiful baby girl. Despite all that, we’ve managed to nab her for a quick chat ahead of Petalon taking over our Instagram account tomorrow (3rd July). Tell us about your background and how Petalon came about? I graduated with a degree in Architectural design in 2008, I wasn’t that keen to carry on with my studies to become an architect so I did a string of jobs; from interior design, to concierge and events and then onto sales – although they all sound incredibly different (and they were), they’ve all helped me with Petalon in their own ways – from dealing with customers to selling bouquets and designing a website. I was working in sales for a trend forecasting company when my husband James started his bicycle brand – Kennedy City Bicycles. I quite liked my job, but when you live with someone who’s following their dream it’s infectious. I loved helping out with KCB but really, I wanted something that was my passion to work on, not just James’s. Then one day James sent a bunch of flowers to my boss at the time to thank her for helping him out with a birthday surprise he had planned for me. They weren’t very nice flowers, and I found it hard to find any flowers at a price someone of our means at the time could afford that were any good. There are plenty of good florists in London, but the minimum spends to deliver bouquets are often very high and James was never going to spend that much for a small gesture of thanks. That evening I came home from work to KCB’s first shipment of bike frames and the idea for Petalon was staring me in the face. We’re big fans of Clapton, what swung it for you guys to set up here? Do you think being based in Clapton influences or has influenced Petalon’s ethos or style? Our location was a huge part of Petalon’s beginnings as I used to cycle down to New Spitalfields market at dawn to get my flowers. I then started going to New Covent Garden in Vauxhall after a year for more variety. I wouldn’t say it’s influenced style but as cycling is the major mode of transport here it has definitely contributed to our ethos. Tell us more about your book ‘Flowers Every Day’, what made you write it and who’s it for? I got approached by the publishers, Pavilion, and i thought it would be a really fun project. It was a lot of work, and it was good to write again like that after using my hands day in day out. I loved working with our photographer India (Hobson) too – she gets flowers, how to capture them and create the mood I was after. The book is for people that want to be able to make beautiful arrangements with flowers both bought and foraged – I tried to make it both clear to follow and give people room to create their own style with it too. You’ve just had a beautiful little girl called Clover with your husband James, who also has a hand in Petalon. What are the pros & cons of working so closely together? On paper it sounds terrible, but it works for us. It’s such a cliché but his strengths are my weaknesses and vice versa so it feels like both businesses are more rounded because of it. It helps that Petalon is very much mine and KCB is very much his, so if we disagree on something it doesn’t matter too much as we will always have the last say with our own business. This series of takeovers is all about shining a light on local businesses that we LOVE! Is there anyone you’d like to shout about perhaps? We are lucky enough to be around the corner from Chatsworth Rd so we are spoilt for choice. We love Lily at LBJ, and always have a jar or two of her jams in the fridge, Angela at Botany always has beautiful prints and plants and present ideas and I can’t forget Kevin from Hounds We Love who takes such good care of our dog Huxley when we go away or have a big event to work on. 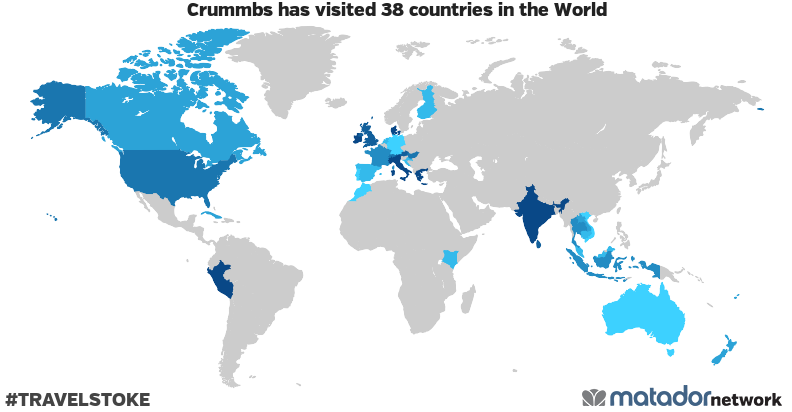 You’ve kindly agreed to take over our Crummbs Instagram account for the day! Having built a loyal fan base, what do you like about the platform? Do you think it’s a useful tool for you as a business or do you find it rewarding in other ways? Petalon would definitely not be what it is without Instagram – I guess because flowers are so visual it’s a good fit for us, and as our bouquets change every week we have something different to post each time. I love seeing our bouquets in their new homes when we get tagged in posts. It’s also a great way to let people know what we are up to – for example that we do weddings, what they look like, snippets on stories of setting them up and to show what is involved. Nearly all our couples who use us for their big day came across us on Instagram or received one of our bouquets. It’s a funny thing Instagram – As my account started as a personal one before I started Petalon I have always had personal posts amongst the flowers, maybe it’s nice to see the person behind the brand, maybe it’s just too many pictures of the dog – who knows! Obviously we are all about the food – what’s your favourite restaurant and best dish ever in London? Until recently we lived around the corner from Campania and Jones – it’s a very special place for me that saw us through some personal tough times (pasta is of course very comforting) and some incredibly joyous times – from a surprise 30th celebration for me to lunch stops for when I was very overdue with Clover and doing laps of Hackney trying to coax her out. When it was quiet we would take Huxley and he’d be a huge inconvenience sprawled across the floor but he would always be welcomed with huge hugs and ear rubs. I’m totally in love with the food, but the restaurant has a magic to it that you can’t ‘design’. I miss being neighbours with them but we are lucky to have Jim’s Cafe so close to our new place. …and for afters, got a favourite boozer? I’m not exactly rock and roll right now with a 2 month old (actually, I’m not sure I ever really was). I do love the Clapton Hart though. The cocktails at Bernsteins are pretty great too, that’s a recent discovery. And finally , let us into the secret of your dream day in London? Morning walks around the marshes with Hux, James and Clover is pretty dreamy. Even better if there’s a breakfast at 119 Lower Clapton afterwards. I love dropping into the shops down Chats, especially Triangle and LBJ. I’m really enjoying doing up our home/shoot location Kennedy and Kennedy so there is a lot of that at the moment! An evening drink at Bernsteins and a simple supper with a cider on the roof is my heaven. Sounds dreamy – thanks for the chat Florence! If you want to see what she gets up to on our account tomorrow, make sure you’re following us both over on Instagram…if we’re lucky Hux might even say hello!